Great pic. I love that they are all different . The third from right is the fattest. All shapes and sizes like us. So cute. What a shame that old stone house is falling apart. I hope someone saves it before it is a heap of rubble. 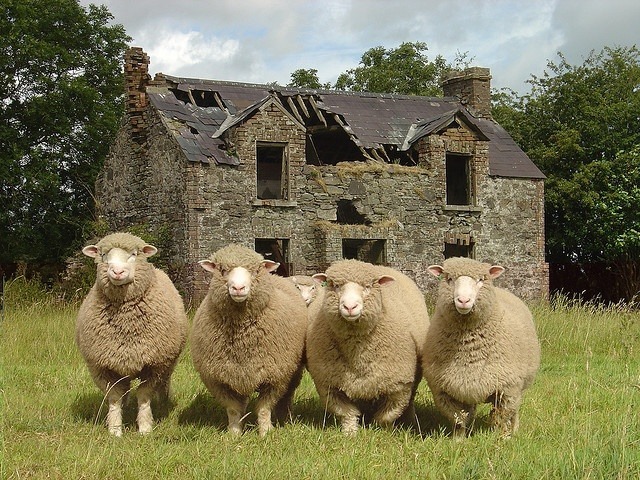 I must have looked at this wonderful photo a dozen times before I saw the 5th sheep! Lisa.....I had to look and look and look before I saw the 5th sheep hiding in the back. Thank you for being so observant.